AMICO’s expanded metal is versatile. You will find it used in almost any industrial or commercial application. 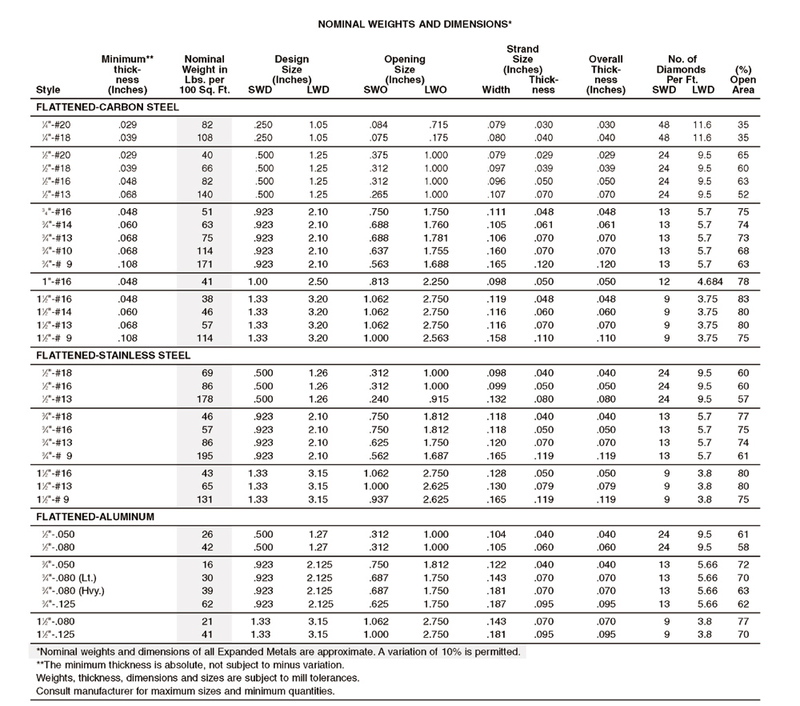 Expanded metal permits excellent control of light and circulation of air. It also provides clear visibility in such applications as greenhouse benches and shelving. Expanded Metal is made from steel plates or sheets that are simultaneously slit and expanded in a cold forming process creating diamond shaped openings of uniform size and thickness. 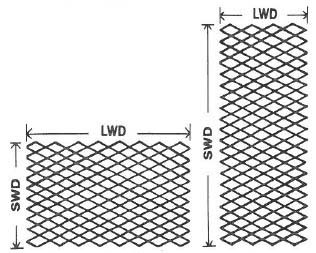 Flattened Expanded Metal is regular expanded metal which has been cold rolled leaving a flat, smooth surface. Closed diamonds all four sides. No open diamonds. Random shear 1 side and 1 end causing open diamonds on 1 side and 1 end. Random shear 2 LWD sides causing open diamonds on LWD. Random shear 4 edges causing open diamonds on all 4 sides. 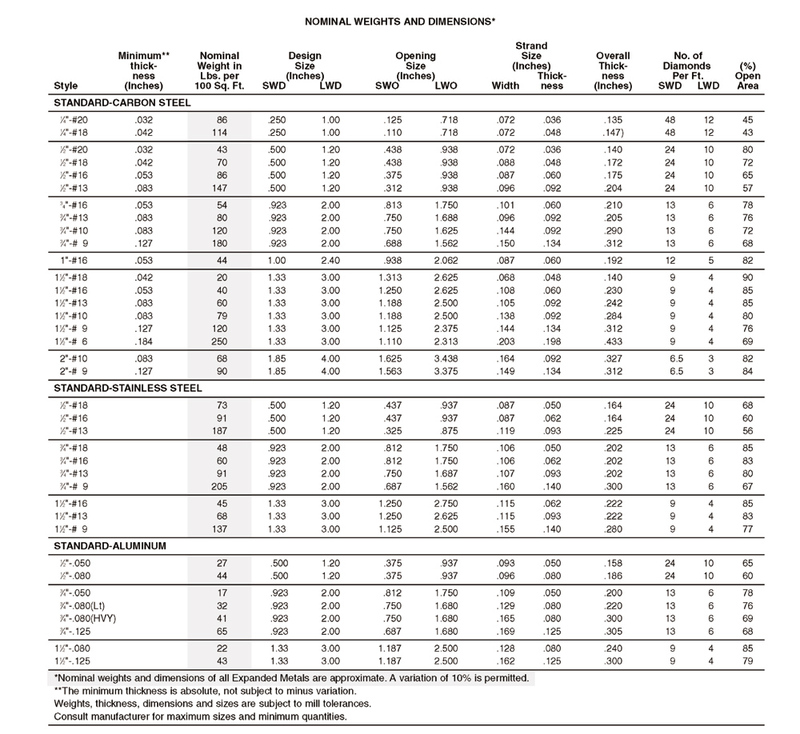 Expanded metal is defined by Type, Class and Grade per ASTM F1267. Type and Class are required when specifying and ordering. The illustration to the right shows that the strands and bonds form a sharp angle to the original plane of the solid sheet. Sheets are expanded in the regular form and then passed through a cold rolled reducing mill. This process elongates the length of the sheet about 5%. The width of the sheet remains the same. The sheet is then sent through a leveler to maintain its flatness. 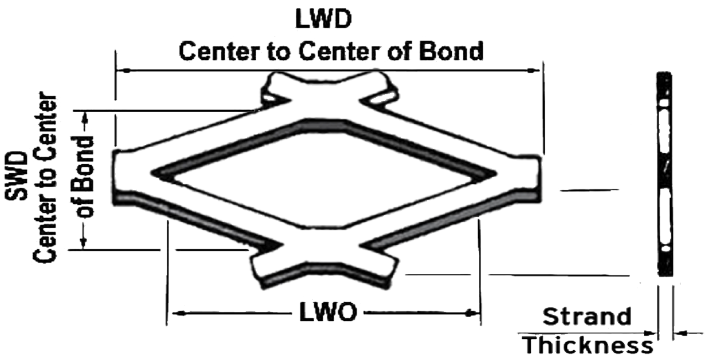 When describing or ordering expanded metal the SWD (Short Way of Diamond) is referenced first and the LWD (Long Way of Diamond) is listed second. The illustration below on the left is standard orientation with the SWD running the short length of the panel. The illustration on the right shows reverse diamond with the SWD running the long length of the panel.